The Hiang Tiang Siang Ti (Deity of the North) Temple was a very simple building when it was first built more than one and a half centuries ago by the Teochew immigrants from China. 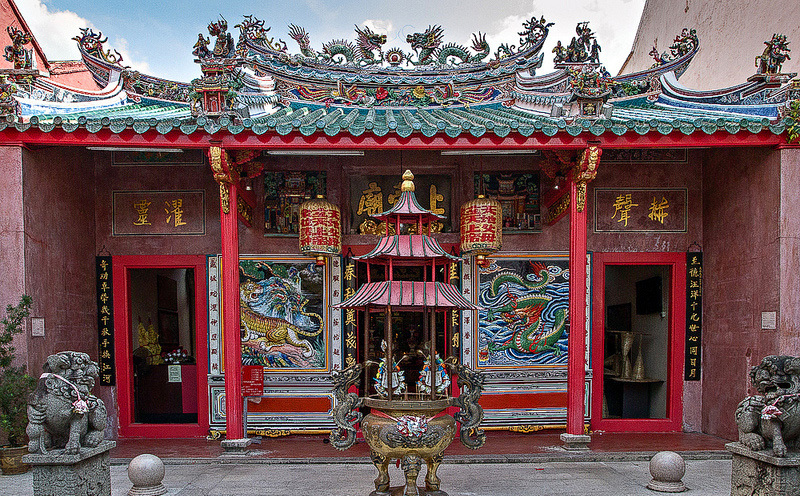 The Temple was originally located at the previous Soon Hong Street (now known as the Main Bazaar). It was rebuilt at the present location in 1863. It was razed by fire in 1884 and again rebuilt in 1889. In 1968 a major renovation of the temple was carried out and the statues of the Deities were completely refurnished with gold foils. A pompous celebration took place on the 4th day of the 12th month of the lunar calendar to commemorate this occasion. There were merry-making and a grand procession was held to add to the festivities. This celebration has become an annual event attracting devotees from far and near to congregate at the Temple. The yearly celebration will see Kuching city becoming alive with a burst of activities which include stage shows and a colourful procession as the highlight. Thousands of people line the streets to witness this celebration which will last till late in the night. The crowds will be rewarded with a skillful display of talents by the lion and dragon dance troupes amidst the thunderous beatings of the gongs and drums while pretty maidens, singers and dancers in colourful costumes performing on beautifully decorated floats. In the old days, an annual election was held to form the temple management committee which was called “Ngee Ann Kiun”Committee. “Ngee Ann Kiun” was the ancient name of the Teochew District in China. This committee was later renamed “Song Hong Kong Si” which became a registered society when the Sarawak Government introduced the Registration of Societies Ordinance in the year 1914. The “Song Hong Kong Si” was renamed “Teo Kiaw Association” in 1933. In order to comply with the standardisation of the names of all Teochew Associations in Malaysia, the name was changed to “Kuching Teochew Association” in 1937. Nowadays the daily management of the temple is the responsibility of a committee whose members are appointed by the Kuching Teochew Association. 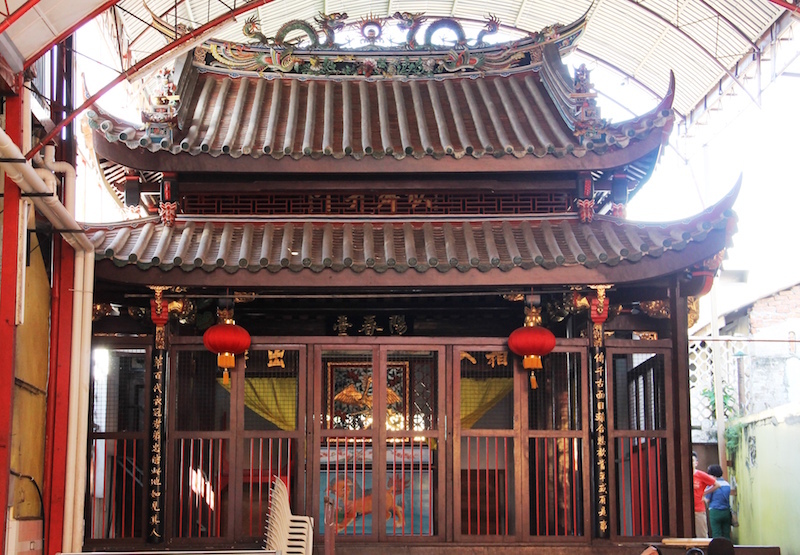 The Kuching Teochew Association traces its origin to the Hiang Tiang Siang Ti Temple. Well known as a sacred place of worship for devotees and a historical cultural heritage, the majestic temple is a popular tourist attraction for both local and foreign visitors. The donations received at the temple are used for the maintenance of the temple as well as for the education and welfare needs of the community.